The Holy Water from the Jordan River is bottled and distributed by Peace River which is located in the heart of the Baptism Site at the Jordan River, where Jesus Christ was Baptized. 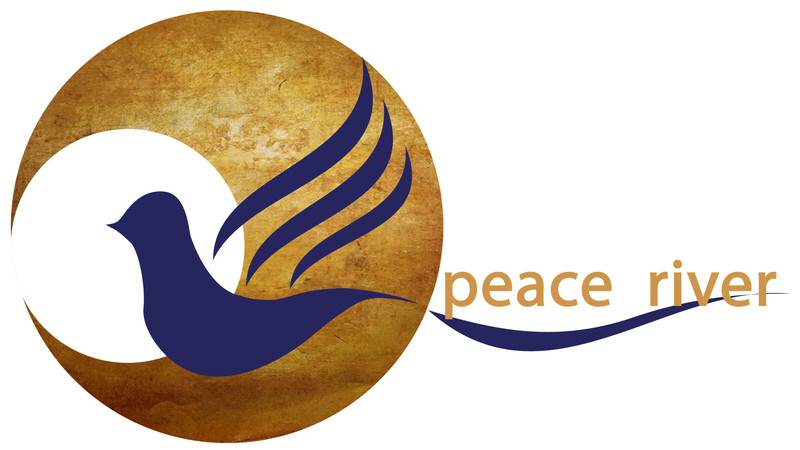 Peace River is dedicated to distribute the Holy Water from the Jordan River worldwide. The Holy Water is the only remaining substance that Jesus Christ touched, which still remains today. It comes from the Holy Land, the land of the Bible, where Jesus spent His earthy life. The Holy Water from the Jordan River is your spiritual connection to Jesus where He was Baptized and from where he ascended into heaven. 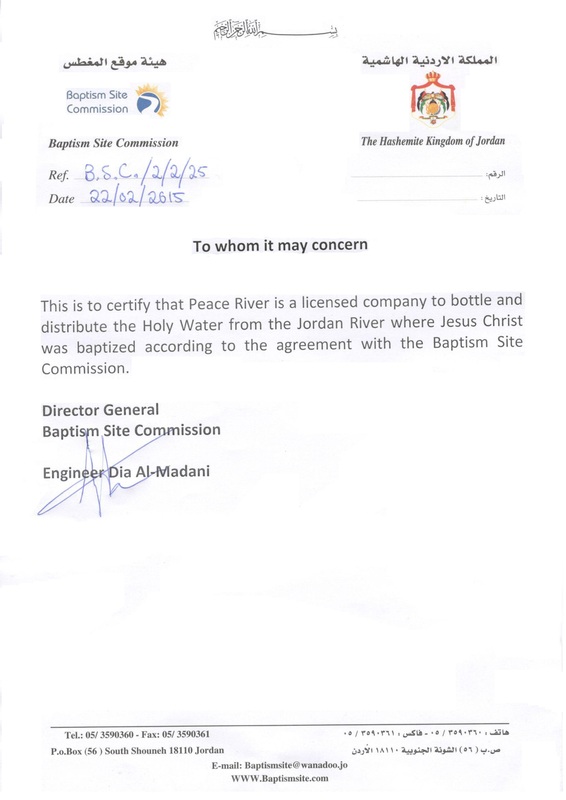 Peace River operates under the direct supervision of the Church and is certified by the Baptism Site Commission, which ensures the authenticity of our Holy Water products. We are committed to supporting the Church and charities in the Middle East and noble causes worldwide and aim to make a difference to world peace and prosperity. .Peace River Company was established in 1995 under name Bethlehem Company for marketing. at the beginning of the 20th century company name changed to new Millennium. In 2006 we changed the company name because some companies used names same meaning to cheat our clients to APHRODITE.